My fourth fabric art card, or quiltlet, in my series for Ami Simm's "Priority: Alzheimer's Quilts". Based on a piece of fabric, no doubt meant to celebrate weddings and bridal showers, I have used it, instead, as the basis for making my inchies.....as part of my own Alzheimer's Art Quilt Initiative project. This series is meant as a reflection on the truest meanings of marriage: the commitment of love as one which at its deepest core is able to place the beloved, above one's own self, and how that love is tested, when a diagnosis of Alzheimer's is made, for one of the partners. Continuing to use the inchies that I made here in Salem (before I left for Alaska) in my How To Make An Inchie post, I used three of the 'bouquets' to symbolize all that we give to the Alzheimer's patient, during the entire course of their illness. One of the many blessings that I was given, when I was home in Douglas, Alaska for my mother's 82nd birthday, was the chance to witness just how much giving...in any form...truly meant to her. As we celebrated her birthday, she was truly a 'queen'. She put on my little tiara and earrings, wrapped herself in the love of my "Pink Ribbons' blanket and opened...with enormous delight, each and every birthday gift in true style. She was the epitome of the loving, giving, nurturing, storyteller that endears her to her family.... and to all that meet her. I realized, truly realized, how much giving means to her. On this particular day, it was of course, the giving of gifts. But I saw throughout my three weeks there, how everything I did....whether it was creating a magical place where she and I could absolutely howl with laughter over the silliest things.....or how I could lightened my father's emotional load by telling him our truly proud I was of just how much he did, how much he gave, and how hard he worked.....truly meant to him. What I received as I watched them, as far greater than what I received and trust me....I worked very hard while I was up there! I gave all that I had in me to give.... physcallly, emotionally, mentally, and definitely spiritually and energetically. But I was given back.... so much more... in return. I learned how the three real bouquets of flowers she received that day, were an absolute delight to her. She admired them over and over and I even left the ones that were naturally drying in a vase when I left.....so she could continue to receive 'flower's each and every day. I learned just how much the tiniest thing that she was given meant so much to her. Every reprinted photo from the past, each homemade gift card, each bathrobe or nightgown, or even a pair of socks. She was thrilled to receive...simply because she knew that each gift was given with love. My 90 year old father, who must have been exhausted...even went out shopping to buy her a gift and the most lovingly, beautiful birthday card that I have ever had the pleasure to read out loud to anybody...but especially to my mother who is legally blind and cannot, even with thick glasses and a magnifying glass, always figure out.....even the very largest print....by herself. I learned that gifts come in many forms. But above all else, we need to remember to give and give and give to them. Love is the truest and most purest of gifts...the deepest gift of, and from, the heart. My mother received them that day, and hopefully will continue to receive them each and every day. Each and every single thing any of us does for her, is a gift. And each and every single day that she has with us...that too, is a gift...really and truly, the greatest gift of all. I love your postacards. I wish I knew how to make them. 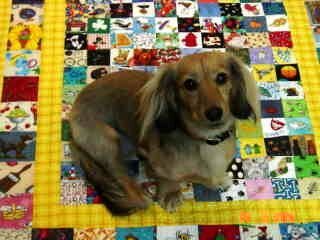 I am so sorry, I love youryour mini quilt. I mistook it for a postcard...anyway, it is very pretty. 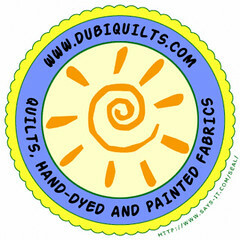 Love the quiltlets you are making! For years I have been cutting my scraps in to one inch squares and did not have a plan for them. Now I am going to make Inchies. Thank-you for the instructions. You've said it all, there's no better definition of LOVE.